And a FREE gift from me!! Simple place your order with formatt-hitech and receive a FREE multi filter pouch from me!! Offer ends midnight 16th Dec! 48 Hour Sale Starts Midnight December 13th! But act fast as this pre-Christmas sale can only last for 48 hours! This weekend, the more you spend the more you save. We have a range of discounts from free shipping to£225! OFFyour basket price. That is on top of any reductions already in store. This covers not just accessories but everything from Special Limited Edition Kits to Signature kits and Cinema filters. There has never been a better time to get all the filters and accessories you need! Spend £100 or more and getfree shipping! 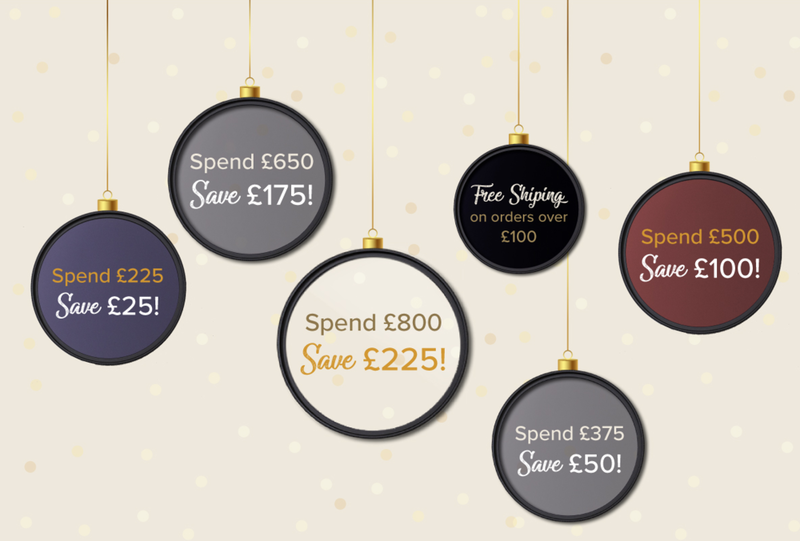 Spend £800 or more and save£225! You pay just £575! This offer is extremely time-limited and must end at midnight (UK time) onDecember 16th. So Hurry to ensure you don’t miss these fantastic offers! All you need to do is add items to your basket that reach one of the tiered values and the discount is automatically applied for you, so no need for coupons, codes or refunds! It is as simple as that. Limited Stock – Limited Time -48 Hours Only!Act Now to avoid disappointment. This bundle has been specifically designed using feedback from professionals working within the TV and Film industry to give you all the filters you need to start your cinematic and broadcast projects. Containing industry standard 4mm Panavision sized filters in a range of our most popular densities. They are compatible with most third-party Matte Boxes which accept 4 x 5.65” filters. These wide angle filters will work with most lenses and give you the flexibility to shoot the way you want to, so you don’t have to compromise your composition. Our ‘World Class’ filters are made of the highest grade optical glass which is polished to precise computer controlled specifications. The filters undergo over 16 individual quality control procedures before we are happy to dispatch them. Circular polariser, which is invaluable for removing reflections or boosting ‘in camera’ contrast and colour. Our amazing Limited Edition kits are back! Enjoy incredible reductions on Limited Edition Kits. This sale you can also take advantage of our tiered discounts. For example, add a 100mm holder and enjoy £25!off your order when combined with 100mm Limited Edition Long Exposure kit.